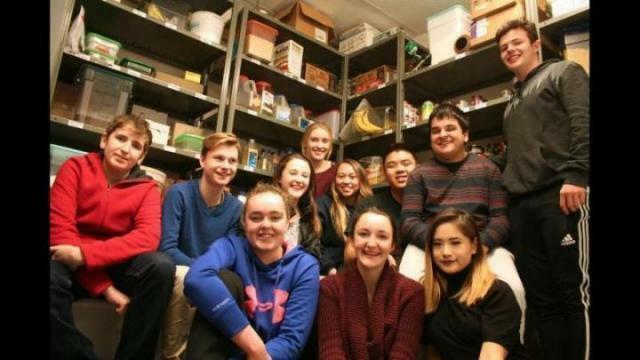 A group of leadership students at Claremont secondary are bringing a one-night, intensive food drive to the school’s surrounding neighbourhoods in Saanich. It’s called 10,000 Tonight, and the leadership students are assembling more than 100 volunteers made up of students from Claremont sports teams and clubs, teachers, parents and school alumni, all to collect food on Thursday night. The goal is to collect 10,000 pieces of non-perishable food items and donate them to the Mustard Seed Food Bank. The evening starts at 5:30 p.m. at Claremont. The group will canvas Broadmead, Royal Oak and Cordova Bay. For more information visit Claremont’s 10,000 Tonight Facebook page.